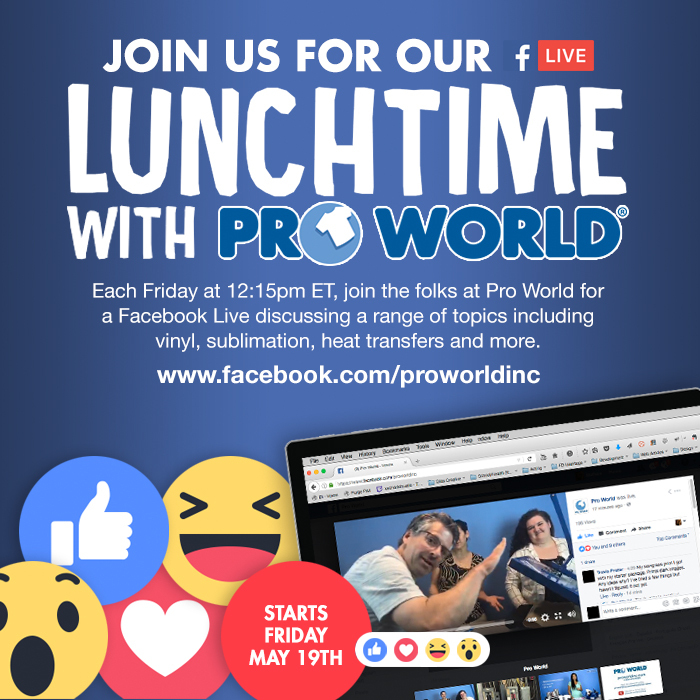 Lunch with Pro World Every Friday - Pro World Inc.Pro World Inc. This entry was posted in All Posts, Heat Press, Heat Transfer, HTV by deanna robinson. Bookmark the permalink.